With toasty Calidic™ synthetic insulation, the Kids’ Azura Jacket offers the same lightweight warmth and technical performance as our adult-sized Azura, designed specifically for up-and-coming shredders. 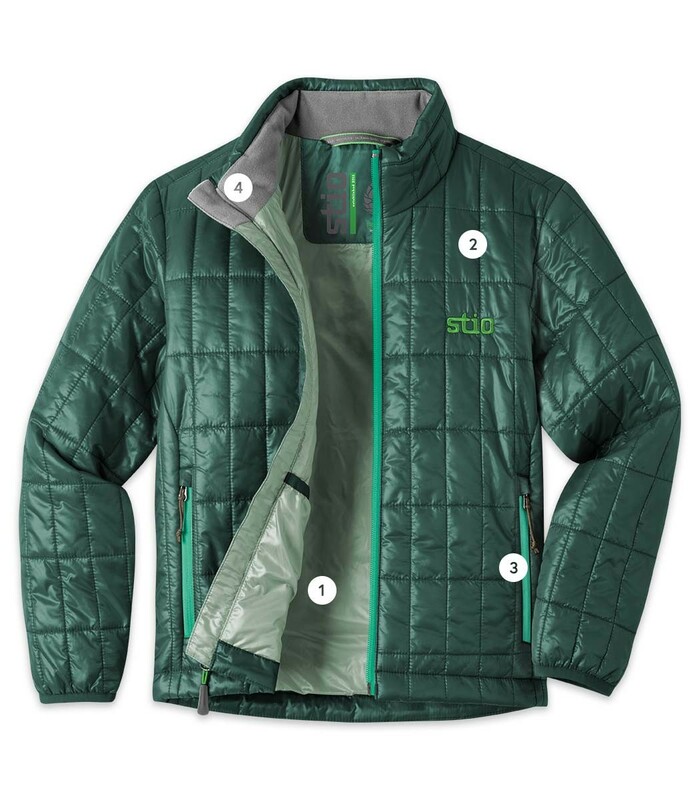 From ski school to family camping trips, a lightweight, do-it-all puffy is just as much of a necessity for kids as it is for mom and dad, and the Kids’ Azura Jacket is the perfect four-season insulator to keep them warm and comfortable. The lightweight polyester shell features a DWR finish to shed snow and spills, while the jacket’s 80g synthetic insulation keeps them toasty even when it gets wet. Calidic™ Insulation offers the advantages of a technical synthetic insulation and provides ideal warmth and insulation under changing weather conditions. This fabric allows for excellent stretch and recovery for maximum comfort. Our 100% Minirip Polyester is incredibly lightweight at 37g/m2, insulation proof thanks to its 15 denier construction, and has a cire finish for subtle sheen. It's highly breathable and protects from wind, snow and rain with an 80/20 DWR. Our medium cut, roomier than Trim but designed with athletic performance and comfort in mind. Center back length, 21 1/2"
For more information about fit and sizing visit our fit guide information page here. A lightweight kids’ puffy for year-round layering.